Commercial, industrial, and agricultural setups rely heavily on transportation and maintain commercial garages for their vehicles. These heavy-duty garages are the life and soul of these companies; therefore, smooth functioning of these doors is absolutely essential. Perth Amboy Locksmith Service is a trusted locksmith firm in Perth Amboy, NJ that offers a complete range of commercial services with special focus on garage door locks repair and replacement services. Do you know what door type will be best for your setup? Let’s consider you have narrowed down on the door. Now what kind of digital security system would you like to install? Whether you need guidance on remote access systems or motion sensor locks, our locksmiths are the best advisors in Perth Amboy, NJ. Our locksmiths double up as expert security consultants and possess the knowledge of latest security systems. They can help you choose the perfect garage door locks for your commercial setup. Plus, we can also help you upgrade to a better security system and repair your existing locks with our free inspection services. Do you want to repair the locks for your sectional steel doors? 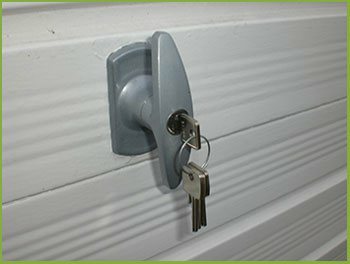 Need an urgent lock replacement service for your rolling door? Reach out to Perth Amboy Locksmith Service any time for all your lock & key needs. Call us on 732-837-9183 !